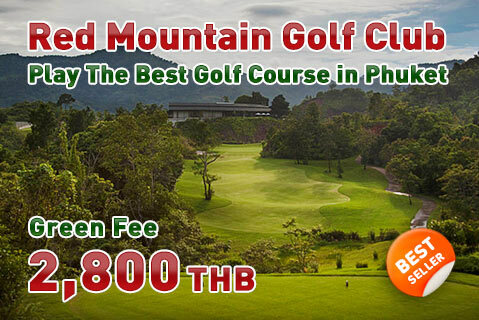 Phuket Golf Courses | The best source for your Phuket golf holidays. Find Phuket golf packages and information for every golf courses in Phuket. Booking Golf in Phuket Has Never Been Easier! Phuket is a world-class golf destination, with eight courses offering unique play, stunning landscapes and challenging play for beginner and experienced golfers. We have been arranging quality golf packages since 2003 and continues to do so for our many satisfied customers, booking their favorite courses from Phuket's world-renowned golfing facilities, including Red Mountain Golf Club, Loch Palm Golf Club, Mission Hills Phuket Golf Resort, Blue Canyon Country Club (Canyon Course), Blue Canyon Country Club (Lakes Course), Phuket Country Club, Laguna Phuket Golf Club and Katathong Golf Resort.